This is a sponsored post written on behalf of Roto-Rooter all opinions are my own regardless of compensation received. I received product and monetary compensation to facilitate this review. One of the simplest things to do to save money is to prevent issues in your home before they start. Think of it as kind of routine car maintenance but on your house. Maintaining drains, pipes, septic and toilets can save you tons of money. No one wants to call a plumber or even worse replace a septic system. Replacing a septic system due to improper maintenance costs thousands. 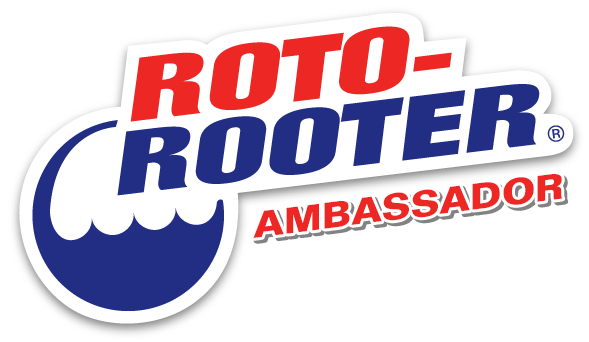 Roto-Rooter products begin at a cost of around $5 and go up to around $15 depending on which product you need. Roto Rooter Gel Clog Remover can really be a lifesaver if you have a clogged drain. You can use it on bathroom and kitchen sinks, showers, all pipes, septic systems, garbage disposals and tubs. Gel Clog Remover clears blockages fast! 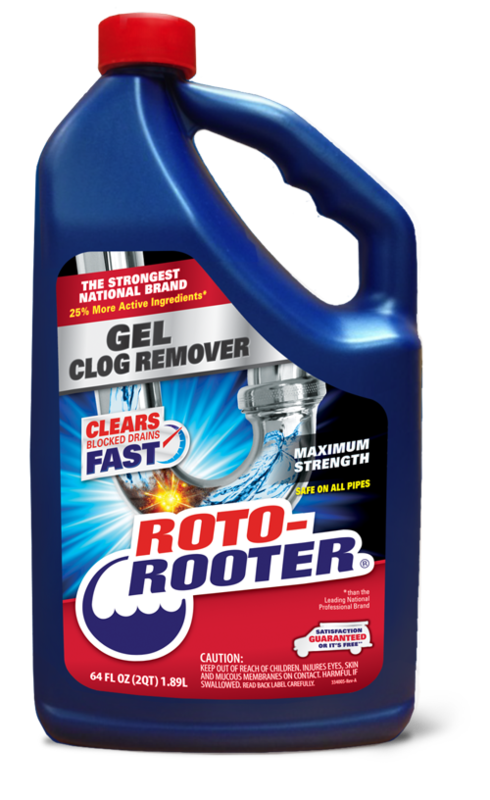 Independent lab tests have proven that Roto-Rooter Gel Clog Remover clears tough clogs up to 50% faster than other national brands. This is due to our Professional gel formula with 25% more active ingredients than the competition, and the precise viscosity to power through standing water to remove all types of stubborn clogs, hair, soap scum and grease. Calling a plumber to fix a clogged pipe is costly Roto-Rooter Gel Clog Remover is safe and effective and costs only a few dollars. In our home hair is always a huge issue. I have super long, thick hair and lots of it and I am always trying to clean it out of the drains before we have a hair clog. Roto-Rooter Hair Clog remover is my go to when we have a hairy problem in our drain. This professional formula has the right thickness and 25% more hair dissolving ingredients than the leading national brand, removes stubborn hair clogs and clears blocked drains fast. In fact, independent lab studies have proven that tough clogs are cleared up to 50% faster than other national brands. Roto-Rooter Hair Clog remover is safe for all pipes and septic systems. Anyone who cooks knows grease is a huge issue and causes so many plumbing problems. 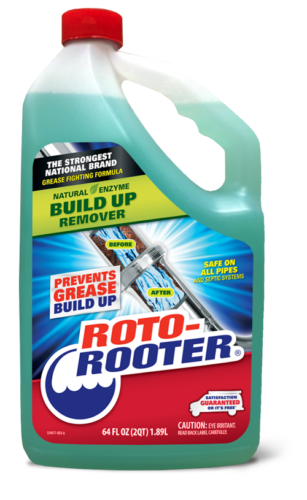 Roto-Rooter Build Up Remover prevents grease build up that can cause slow running drains. Our grease fighting, natural enzyme formula was designed to coat pipe walls and eliminate build up before a standing water clog forms. This product removes unpleasant odors, leaves a fresh citrus scent and is great to prevent septic system backups. Use monthly to prevent clogs from forming. Roto-Rooter Build Up Remover is safe on all pipes and septic systems. Roto-Rooter has saved us most when it comes to our septic system. Roto-Rooter Septic Treatment is the product we use most for maintenance. It is recommended that you use Roto-Rooter Septic Treatment monthly to avoid problems. If your septic clogs or gets backed up you will be forced to hire a professional and septic system professionals are one of the most costly home repairs. We make sure to stay up to date with our monthly treatment to avoid this. 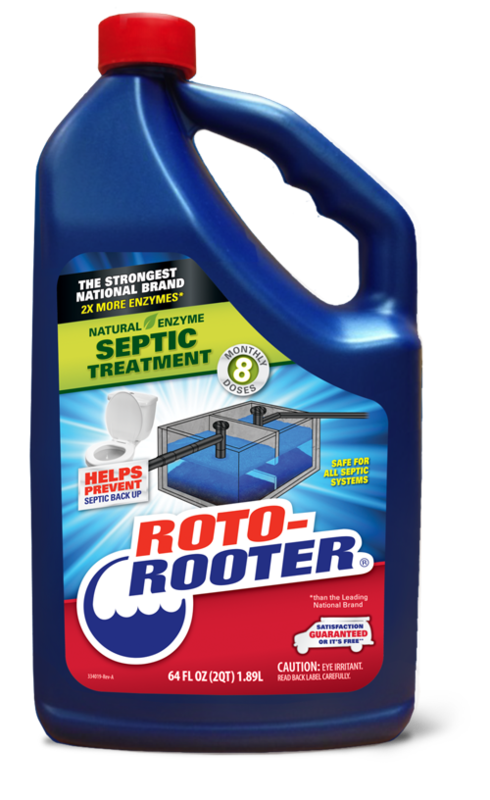 Roto-Rooter Septic Treatment is scientifically formulated to help prevent septic backups. Our Natural formula uses 2X more enzymes than the leading national brand to eliminate MORE paper, fats, oils, grease, protein, and starch. This product also helps eliminate unpleasant odors and dampness in leach fields. Use monthly to avoid costly and messy backups. Roto-Rooter Septic Treatment is safe and easy on all pipes.